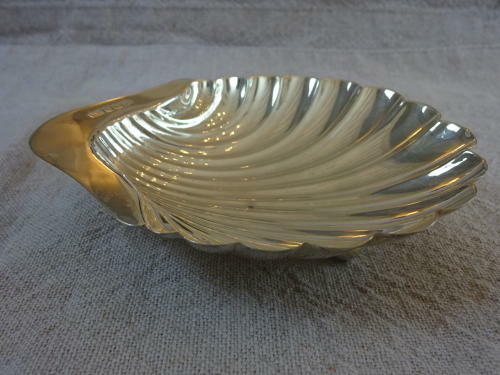 Charming Solid Silver Shell Butter Dish. Hallmarked Sheffield 1900 by Maker Atkin Brothers. In Very Good Condition for its age (117 years old). Weighs 58grams & Measures 12cms long, 10cms wide by 2.5cms high.